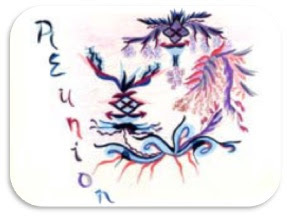 Therefore, as soon as I awoke, I went to my computer to ask The Arcturians and my Galactic Family about this “dream—inter-dimensional message.” The message I receive is below. It appears that this message was/is from the Arcturians, as well as my Galactic Family, but they speak as ONE voice. As well as ALL third/fourth dimensional expressions of Her Planetary Reality. Gaia, and Her Galactic Family are increasingly working together to bring about the full vibrational return to Gaia’s innate fifth-dimensional, planetary form. This transition, which is actually a transmutation, has been in operation since the close of WWII. Gaia knew that she could NOT survive another world war. Therefore, since the close of those horrific events, Gaia has dedicated Herself to returning to Her innate, fifth dimensional and beyond, expression of Her Multidimensional, Planetary SELF. Also, as Gaia increasing transmutes Her planetary self into Her fifth dimensional expression, Her third dimensional Matrix of Reality will no longer be able to adhere to, and provide a living zone, on Gaia’s Earth. Those humans who are totally ready and completely prepared to initiate this planetary transition into the fifth dimension, along with ALL of Gaia’s Nature, will be serving as ONE being to assist their dear Mother Planet. On the other hand, those humans who are not yet ready to make their vibrational return into the fifth dimension and beyond, will remain on Gaia’s 3D Matrix. Gaia’s fourth dimensional realm will also remain open for as long as the 3D Matrix is attached to Gaia’s form. At the completion of Gaia’s full release of Her 3D Matrix Habitat Zone, the fourth dimensional Astral Plane will remain open. However, the fourth dimension will primarily serve as a dream and meditation entrance into Gaia’s Multidimensional Mystery Schools. The members of humanity that are prepared to ascend with Gaia, will transmute into their Multidimensional Lightbody SELF within the same NOW as Gaia transmutes into Her Multidimensional Lightbody PLANET. Because Gaia will then resonate to the fifth dimension and beyond, only the members of Her planetary reality who are able to resonate to the fifth dimension and beyond will be able to join Her. Those who cannot resonate their consciousness, which includes ALL their perceptions and beliefs of reality, will remain on the 3D Matrix that has always been their only experience of reality. This 3D Matrix, which has housed those who have only been able to resonate their consciousness to the third dimension, will remain to invisibly, and unconsciously, be transferred to another third dimensional planet. That planet is also not yet ready to transmute into a fifth dimension and beyond planetary resonance. Venus, Gaia’s beloved sister planet who has already made Her transition into the fifth dimension, will assist Gaia and humanity during the NOW of Earth’s transmutation into the fifth dimension. The Ascended Masters, the Angelic Kingdom, the Elohim, as well as ALL of Gaia’s fifth dimensional Galactic Family, will also transmute back into their fifth dimensional and beyond, multidimensional expressions. Those who remain on the 3D Matrix will continue being unaware of anything that resonates to the fourth dimension and beyond. Therefore, they will not feel or experience any difference in their third dimensional reality. Some of these humans may have fourth dimensional dreams and meditations that are attempting to awaken them from their third dimensional illusions. Once, and if, they are able to expand their consciousness within that incarnation, they too will join the ever-expanding, fifth dimensional version of reality. Some of those who make this transition, but are unconscious of it in their third dimensional consciousness, will have increasingly vivid dreams and meditations in which they are “traveling to,” or “just visiting,” another reality that is much like their 3D life, but simultaneously VERY different. If these awakening ones remember and live these dreams, they will begin to expand their consciousness, which includes their perceptions, into the upper fourth and fifth dimensional versions of reality. Meanwhile the “awakened ones” will be able to remain conscious of this transition from the very beginning. However, others may need more “3D “time” to embrace this experience in a conscious manner. Meanwhile the “awakened ones” will be able to remain conscious of this transition from the very beginning. Everyone will make their own choice regarding the frequency of reality to which their consciousness will resonate. Since the frequency of your consciousness is the frequency of your reality, your state of consciousness will guide you to resonate to the reality of that frequency. In this manner, slowly, or quickly, humanity will, make their personal choices of which reality they wish to experience. An “inter-galactic” reality is one in which humanity remembers their Multidimensional SELF enough to consciously perceive and inter-act with their fifth dimensional expressions of SELF who are NOW in the process of assisting Gaia with Her transition into being a fifth dimensional planet. Just as humanity’s fifth dimensional SELF always, and infinitely, surrounds their third dimensional human expression, Gaia’s fifth dimensional planetary self always, and infinitely, surrounds Her third dimensional planet. We, your Galactic Family, come to you within this NOW to remind you that Gaia’s transmutation into Her fifth dimensional expression has begun! Those humans, who are ready to expand their consciousness into the fifth dimension, will have the great reward of participating in this transition into a higher frequency of reality. ALL of Gaia’s nature and animal kingdom will be joining Her. In fact, many of the “extinct” animals and plants, have already migrated their essence into the resonance of gamma waves in order to experience and prepare a new fifth dimensional, home for humanity. It has often been thought by humans that they are the most evolved species. However, if they were, then why have many plants and animals (mostly those who humanity have made extinct) preceded humanity into fifth dimensional Earth? How did this experiment go, and what did it reveal? For one thing, it revealed that a relatively few humans have been able to expand their consciousness enough to work for, and even sacrifice themselves, for the good of ALL. In fact, there were so few of these humans that they were usually only recognized after their death. Then, these being were often entitled, “Ascended Masters.” What we, your Galactic Family, wish you to remember is that, within your fifth dimensional expression of your Multidimensional SELF, you can ALL be, WILL be, and already are Ascended Masters in the higher dimensions of reality. However, you will be unaware of this fact until you expand your consciousness to embrace your fifth dimensional and beyond expressions of SELF. Therefore, you do not need to “achieve” being an Ascended Master. Instead, you need to “remember” that you are ALL what has been called an “Ascended Master” within your OWN Multidimensional SELF. Every human, even the members of the Illuminati, are multidimensional. Therefore, every human, as well as ALL plants, animals, birds, insects, as well as all the expressions the expressions of life on your third dimensional world are projections from the multidimensional reality to which their true, higher dimensional expression of SELF resonates. Therefore, you do not need to “achieve” being an ascended, fifth dimensional being. Instead, you will “remember” that you are already are a Multidimensional SELF. In fact, you are among the many who chose to lower your resonance to be able to engage in the “great experiment” of Life on the Third Dimension. that has created uncountable wars and immense destruction to Gaia’s planet. How can humanity remember their true, Multidimensional SELF who volunteered to take a third dimensional Earth Vessel in order to assist their dear planetary friend, Gaia, to return to Her true Multidimensional Planet? The answer to that question is very complex. However, once humans remember that they are only “wearing” a third dimensional form, and inside of that form is their true, Multidimensional SELF. Only the third dimensional illusions of Gaia’s “Third Dimensional Operating System” bind your consciousness to that operating system. Therefore, as you upgrade your personal, operating system from the old “Third Dimensional Operating System” into your innate, “Multidimensional Operating System,” you will remember what you always knew, but forgot. Joint us as we work as the ONE Galactic Being, that we have always been, to fulfill our “away mission” to ASSIST GAIA WITH HER PLANETARY ASCENSION! WE, your Galactic Family, are ALWAYS with you! How could we not be, as We ARE You in the higher dimensional realities.